Welcome to the first guide in our series of Football Manager player roles, where we will take a closer look on the goalkeeper defend and sweeper keeper and their player instructions in Football Manager. 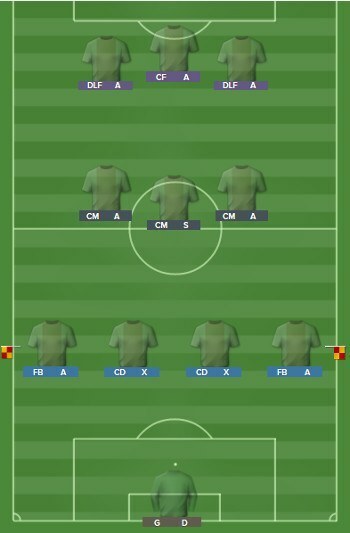 The goalkeeper plays an important part of your football manager tactics. His presence will not only be important as a shot stopper, but also as the player with the best vision of the game. His abilities and skills (player preferred moves), duty and player role will make an important impact to your Football Manager tactics. Choosing the best goalkeeper for your tactic can be the difference between a mid-table position or struggling for relegation. Now it’s time to compare the goalkeeper player roles GK defend and sweeper keeper in Football Manager 2014. 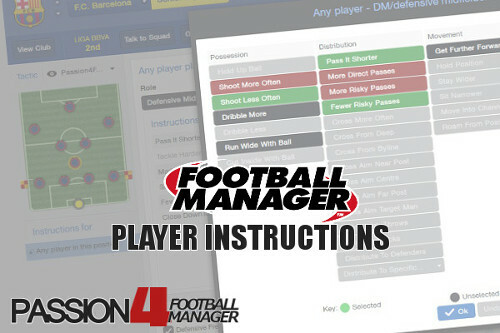 We aim to make it easier for you to understand when you should choose the different goalkeeper player roles and duties available, both to improve your Football Manager tactics but also to utilize your current goalkeeper in the best manner. From Lev Yashin (“The Black Spider” of Dinamo Moscow) to Walter Zenga, from Peter Schmeichel and Ray Clemence (a 5* goalkeeping coach in FM14), to more recently English world star Joe Hart and Belgium wonderkid Thibaut Courtois – aka some of the best goalkeepers in the history of football. What’s unique about these keepers was their major importance to the clubs performance – securing titles and trophies with man of the match saves, remarkable agility and reflexes. A football goalkeeper have always been something of their own – often described as charismatic and athletic players, but who could also be unorthodox and commanding giants. A keeper can also be described as leaders on the pitch, partially due to his excellent vision of the game, but also for his necessary ability to command the defensive line. By doing a thankless job few of us wouldn’t even dare for one half, the goalkeeper requires bravery and mental toughness, physic and fitness. The best goalkeepers in the world are as athletic as gymnastics and agile as ballet dancers. The fine line between man of the match saves and seeing goals in the net can be as little as a fingertip. One remarkable key save in one match – which automatically titles him the best goalkeeper at the time by fans to a bloomer in the other, is often the difference between regular first team football and keeping the bench warm. While the striker can roam around – switching between on and off modus – the goalkeepers are the ones who must always stay focused – which is proven by the short spell for the Red Devils by Massimo Taibi in English Premier League. Perhaps there are times (matches) where they even get to touch the ball, while other times the opponents strikers are keeping them busy with numerous shots on goal. The keepers will always be the ones who risks everything for a save – who doesn’t hesitate. They will be entirely judge upon goals or even more drastically, from the few moments where they haven’t possession of the ball at all! READ MORE | Football Manager Goalkeeper Player Attributes – What does a good GK require? The goalkeeper has been present from the very beginning of football. While the footballing world has evolved, has the GK’s job and requirements stayed very much the same. But as football is played with higher tempo these days it has also set even more requirements to the goalkeepers of 2014. As football is more and more being played on the ground (short passing style) – the goalkeeper of today can be more resembled to the outfield players – requires far more technical skills to handle the ball and aid the team in the build up as in the past. 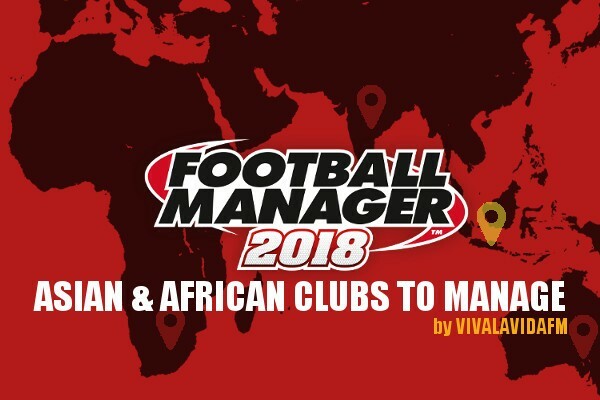 With this in mind, it’s time to take a closer look on the two Football Manager goalkeeping player roles: Goalkeeper Defend and Sweeper Keeper. The Football Manager player role Goalkeeper defend could be regarded as the standard player role for keepers. He is often described as a traditional shot stopper – a player who favours to stay inside the penalty box and rarely waives from it. This means that his main working area will be in a very limited area of the pitch (which sets less requirements to the keeper). The traditional goalkeeper defend is mostly used for tactics which utilizes a deeper defensive line. The GK defend’s performance will be based on simplicity – will do what is necessary to prevent the other team from scoring. Without the ball he will patrol the area and position himself inside the 10 yard penalty box – according to where the ball is; if the ball is inside the opponents penalty box, than he will stay further out then if the ball is closer to the half-way line. But most of the time he will look to stay between the posts – making it easier to position himself for shots. While the GK defend of Football Manager 2013 had a default settings to short passing, the FM14 GKD player role will look to distribute the ball longer (depending on player preferred moves and specific player instructions. As I see it, the way of passing is set to average (not specific short or specific long). Even thought the distribution method will be more like less risky passes, the goalkeeper will somewhat play the ball long and direct depending on strategy chosen. This means that he will like to dstribute the ball to defenders with quick throws for attacking strategies, while playing longer balls for defensive strategies. If the opponents are pushing high and are setting more pressure on your defensive line, the goalkeeper defend will look to feed the forwards with counter attacking opportunities. (Aim against above the midfield line). This means that its vital to set correct distribution method according to your playing style in order to get the most out of him. For possession tactics will “distribute to defenders” and “pass it shorter” be recommended, while counter attacking tactics could be aided by “more risky passes” and “take quick throws”. – Positioning The GK defend will utilize his capabilities in a limited area. The restricted area doesn’t mean positioning will be less important, but that agility is far more important. The goalkeeper defend must move quickly within the 10 yards penalty box. His abilities in positioning will be important when the oppsition team puts extensive pressure on your squad. – Agility With limit space comes the need for him to move around his area quicker and more easily. If the opposition team is pushing you back in the penalty area it is important that the goalkeeper can be quick on his feet; start, stop and move to several different positions for a short period of time. – Reflexes As the goalkeeper looks to stay between the goal post (or pretty close to the line), the goalkeeper needs excellent reflexes. His ability to make instinctive saves will not only be important for defensive set-pieces but also for shots from flanks (inside forwards) and quick shots from just outside penalty area (shadow striker ++). – Handling: Combined with good reflexes is handling important. By being able to hold the ball safely or get control of it quicker after saves the defensive line will put less pressure on the defenders. Handling decreases the risk for him to loose the ball in front of the goal, where the area is packed with finishing skilled opponents. – Composure It’s vital that the goalkeeper and sweeper keeper can remain calm no matter if he’s closed down when moving with the ball outside his area, or when opponents are putting extensive pressure on the D-line. B) physical skills – to close down and move within his player role area, as he will tend to rush out and sweep up through balls. A sweeper keeper must also accept back passes from his team mates and deal with them in an effective way, either by distribute the ball to an available player or launch a long ball to get it out of dangerous areas. This means that the sweeper keeper will utilize much more of the area behind the defensive line – both staying higher up the pitch but also look to come off the line with the ball at his feet. Using a sweeper keeper is often done when playing with a high defensive line. Bigger operating area and the available duties sets more demands to the SK. As you see from the average positions diagram to the right or further below, the Sweeper keeper will cover almost the entire penalty box. The Sweeper Keeper aims to perform two roles; those of the traditional goalkeeper and the outfield Sweeper. Alongside standard goalkeeping duties, he will sweep up balls in front of and wide of the penalty area and initiate counter-attacking moves with direct through balls to breaking players. SK Defend: Will be a lot more cautious (act more like goalkeeper defend), but will play counter-attacking balls when they are on. SK Support: Will stray just outside the penalty box and look to play counter-attacking passes. The Note that the SK support has “More risky passes” as default player instructions. This will suit more counter-attacking tactics which possesses technical players who can take control of the ball (either in aerial situations or from bounds). SK Attack: Will travel some distance outside his area with the ball at his feet and generally act more like a Sweeper. The SK support and attack will tend to rush out and intercept long through balls directed behind your defensive line. As mentioned before will a good sweeper keeper require both great basic goalkeeper attributes in additional to better mental and physical attributes. The mentioned player attributes below, are in additional to key attributes for Goalkeeper Defend, talked about above. – Positioning and Anticipation No other player attributes apart from basic goalkeeping attributes are as important as positioning and anticipation in my point of view. With larger area to take control over he must be positioned at the right place at the right time and predict what will happen at all time. His vision and tactical understanding of how the game will evolves is mandatory in order to succeed with all situations mentioned briefly below. – First Touch As a ball playing goalkeeper it is vital that he can take control of the ball when receiving back passes. We don’t want him to loose the ball outside the penalty area when forwards tries to close him down. A SK will be more involved with the build-up as defenders looks to get him into play if no other passing options are available. – Rushing Out and one on ones are two of the most distinctive key attributes for the SK. As he may has to rush out of the penalty box and deal with opposite strikers breaking through on goal, its vital that the SK can intercept them. He will then act like an additional defender who close down the ball – narrowing the space between him and the breaking forward to make it more difficult for him to take shots at goal. To succeed in rushing out a good SK requires decent levels of Acceleration and space. Tied to one on ones and the quickness to come out of line is bravery an important mental attribute to look for. He will then not be afraid in rushing out – looking for body contact to stop the opposite striker. The level of decisions can often be the result of an conceded goal or a successful interception. No matter which type of duty you select the sweeper keeper will look to initiate counter-attacking moves with direct passes to breaking players (which can change your preferred playing style a lot!). What I’ve discovered is the difference between which area he will look to feed the ball to. For countering and defensive strategies, the SK will look to launch the ball high up field – to the forwards. For more attacking strategies he will look to aim for the defenders, who are positioned around the halfway line. With control strategy will the SKD look to regain possession by feeding the ball to defenders even though “More Direct Passes” and “More Risky Passes” have been selected (in fact that was the case in my testing, but any feedback to this is welcomed!). For more cautious strategies my testing have shown that the SK defend will get far less passes than SK support on similar strategy. What’s interesting is that the amount of passes is almost identical according to strategy chosen – it’s only a huge difference in passing completion ratio between the different Football Manager goalkeeper player roles. Most often will a sweeper keeper player role mean that you looks to waste possession by more longer and sometimes more risky passes in order to get the ball quicker into the final third. Without any specific passing method set will the goalkeeper (if he lacks kicking) have an passing completion ratio under 50%! This makes it almost impossible to play a possession tactic. This means that setting the proper distribution method according to team strength and tactical preference (counter vs defensive vs possession playing styles) is vital. When you like to play out of defense it’s necessary to select shorter passes and distribute to defenders in order to make that specific team instruction work. A) Team strategy and playing style compared to defensive line. It’s important to consider this to find the correct balance for the preferred formation. It is also vital to remember the team passing style and defensive line instructions for the different strategies. The goalkeeper in a defensive strategy will clear the ball deep in the midfield, while an attacking strategy will make the goalkeeper tend to play the ball short, (if it’s safe), to one of the defenders. The basic question is; do you want to keep possession or are you satisfied if you’re left with a 50% chance of wasting possession?. Your Goalkeeper may be the reason you’re not able to retain possession, as he either plays the ball into “safety” by launching a long kick or move out of the penalty area with the ball at his feet (to start counter-attacking moves). A huge available space between the defenders and the goalkeeper may force you to choose one player role (read: sweeper keeper) over another (read: goalkeeper defend). But you can succeed by using goalkeeper defend no matter defensive line, as long as you have some in the defensive line who have the anticipation and quickness to drop into the available space when required (read: duty cover). B) The player attributes; his strength and weaknesses. Can he perform and act like an sweeper or does he lack the required skills to succeed in the role of a Sweeper Keeper? # The goalkeeper has shorter area to travel and can be instructed to stay inside the 6 yard box which makes it more difficult for the opposition team to score goals; as the shot must be well-placed to get by him. # Far less easier to make a possession tactic if using an attacking strategy. Just remember if employing a more cautious strategy the goalkeeper may distribute the ball long / wide which might end up loosing possession of the ball as the goalkeeper is pressurized to do a long kick (but lacks the skills to do it successfully). # The space between the defensive line (defenders) and the goalkeeper can be exploited when playing an attacking strategy or using a control space touchline instructions where you push up the defensive line. # If the goalkeeper lacks positioning, reflexes, handling and reach it is easier for the opposition team to score goals from long shots. # If you’re playing with a high defensive line the right goalkeeper may rescue you, as he intercepts long balls played into the available space. # If instructed to kick the ball to the right player you can launch an attack pretty quickly. Especially useful if you’re an underdog. # The Sweeper Keeper Defend have many similarities to the Goalkeeper defend and less of the requires skills are important (as the goalkeeper mostly will be positioned in the area of goalkeeping defend. # If the goalkeeper have high eccentricity and creativity but poor decisions, positioning he may do many mistakes and bloopers. Sometimes it could be favorable to have a goalkeeper who act unlike the traditional goalkeeper, but this will of course be based on the situation. # As this player role is intended for launching counter-attacking moves it may result in wasting possession of the ball if the wrong strategy is employed in regard to your preferred playing style, as he will tend to kick the ball long. # Are you able to find a goalkeeper with all the required skills? # Will the player instructions mentality and closing down be too attacking minded? The photo, used in article image, “Soccer goalkeeper” is made available as Public Domain. Image courtesy of Master Sgt. Lance Cheung on U.S. Air Force’s Homepage. Photo of “Gianluigi Buffon” is made available under Creative Commons licence Attribution-Share Alike 3.0 Unported. Image courtesy of Илья Хохлов via Football.ua. Which Goalkeeper player role do you prefer in Football Manager 2014 and why? Are the GK player roles too much alike in Football Manager? Discuss!